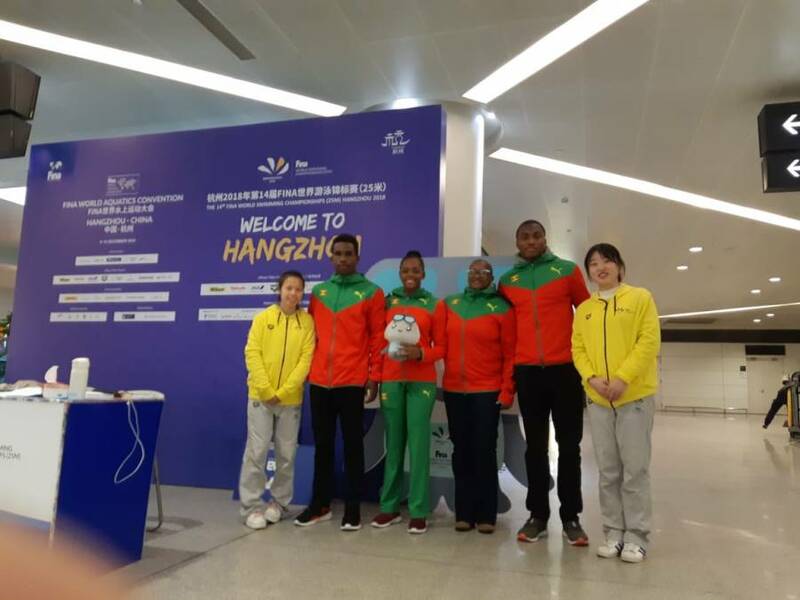 Grenada’s National Swimmers Delron Felix, Kimberly Ince, and Dajenel Williams returned to the island earlier this week after a successful performance at the FINA World Championships in Hangzhou China. Coach Gerson Escobar and GASA president Peron Johnson attended with the team and indicated all 3 swimmers put out excellent performances over the competition days. For Ince and Williams the World Champions was their first appearance on the International competition stage, competing with swimmers from more than 200 swimming federations around the world. Each swimmer excelled with personal best performances in their events. Felix having recently competed at the Youth Olympic Games in Argentina, and also topped his age group category at the OECS Championship in November, put out a Personal Best performance in the 50m freestyle with a time of 23.63s and 51.35s in the 100m freestyle. Similarly, Ince who recently set the OECS record for the 100m backstroke, made a personal best time in the 50m backstroke in 31.63s and 100m backstroke in 1.07.68. Williams also a decorated OECS winner, attained his personal best time in the 50 & 100m breaststroke in a time of 26.52s and 58.22s respectively. While in Hangzhou, President of GASA, Peron Johnson, attended the FINA Congress and indicated that the conference afforded the opportunity to access greater resources and wider cooperation for the sustained development of the sport. This brings to a close the final event on the 2018 Calendar and Grenada Amateur Swimming Association (GASA) extends its greatest appreciation to the Ministry of Sports, the Grenada Olympic Committee, Hubbard’s, First Caribbean International Bank, Grenada Bottling company and the many other corporate citizens and individuals who have assisted the organisation throughout the year and beyond. GASA looks forward to a successful 2019 Swim season as they continue to make strides for the development of the sport in Grenada.